Bollywood singer Tulsi Kumar, who has sung such songs like Salamat (Sarbjit) and Soch Na Sake (Airlift), has been a part of Bollywood for a decade. Sister of T-Series owner Bhushan Kumar, Tulsi started her career with the Aksar song, Mohabbat Ke. 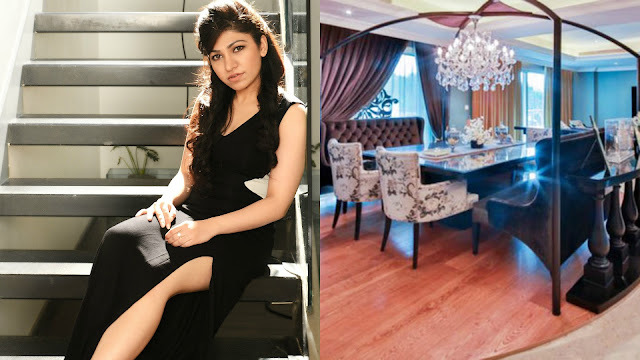 After getting married to Hitesh Ralhan in 2015, Tulsi Kumar set up home in Delhi. And what a home she has! A four-bedroom apartment, it took Tulsi Kumar three-four months to decorate it with the help of an interior decorator.